The “Right to Die” case for doctor-assisted suicide begins today in the BC Supreme Court amid much controversy. Sixty-three-year-old Gloria Taylor who suffers from ALS (Lou Gehrig’s disease) is challenging the courts. The case was fast tracked due to Taylor’s deteriorating condition. The other plaintiffs include a couple who helped their elderly mother fly to Switzerland for an assisted suicide, a Victoria doctor seeking the right to help his terminally ill patients have assisted suicides along with the B.C. Civil Liberties Association. In his opening arguments Taylor’s lawyer Joseph Arvay read an affidavit from Peter Fenker, who was active and healthy until being diagnosed with ALS at the age of 71. “I felt like a blob with useless limbs,” he wrote in the affidavit. Although he contemplated suicide with a gun, Fenker knew that committing suicide himself would have a tremendously negative effect on his family. He has since died from the disease. Critics from Right to Life camps including the Euthanasia Prevention Coalition of Canada worry that assisted suicide laws could increase elder abuse by forcing seniors who do not wish to die. Donnaree Nygard, the lawyer for the attorney general of Canada, stated that the laws currently in place outweigh the probability of wrongful death. 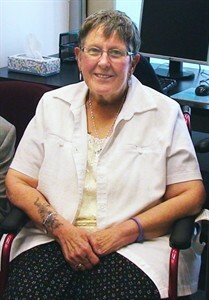 The Supreme Court previously rejected the assisted suicide case of Sue Rodriguez in 1993. In Canada it is illegal to counsel or aid with a person’s suicide. The offence carries a maximum sentence of 14 years. It is currently legal in three U.S. states and four European countries.